‘Nava’ means nine; ‘Graha’ means planets. As per Vedic Astrology, there are 9 planets that influence your lives. The position of a planet at the time of your birth will have an influence on your actions and reactions to different situations in your life. The Navagraha Homa is recommended for all, particularly for those horoscopes where planets are in detrimental or malefic positions. 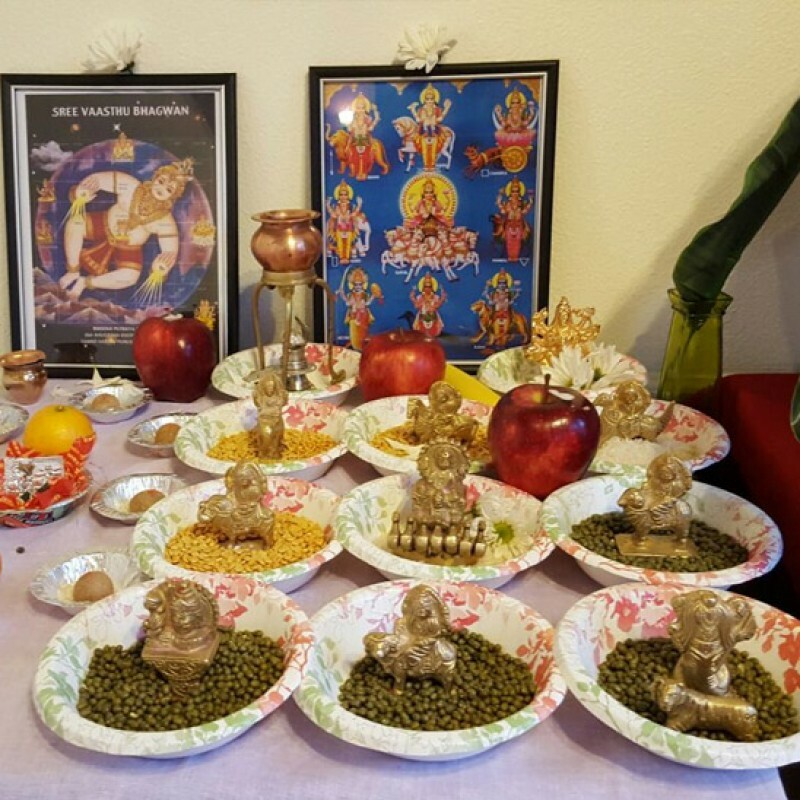 Nine varieties of flowers, nine cereals (Nava dhanya), nine vastrams (fabric of different colours), nine types of chamatas (twigs) and nine types of naivedyams are used in this homa.